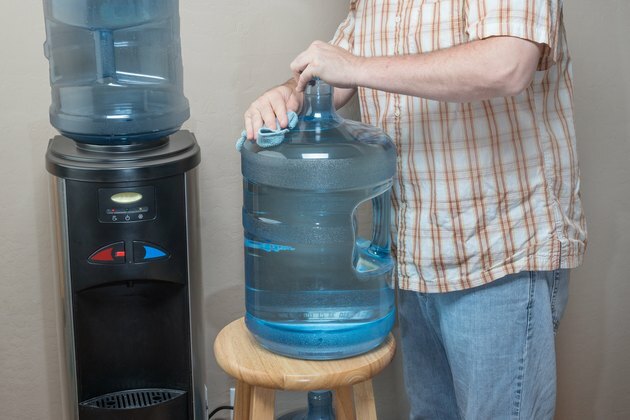 If you don't like your home's tap water and don't want to buy costly individual bottles of water or worry about replacing pitcher and faucet filters, a 5-gallon water cooler bottle may be the way to go. 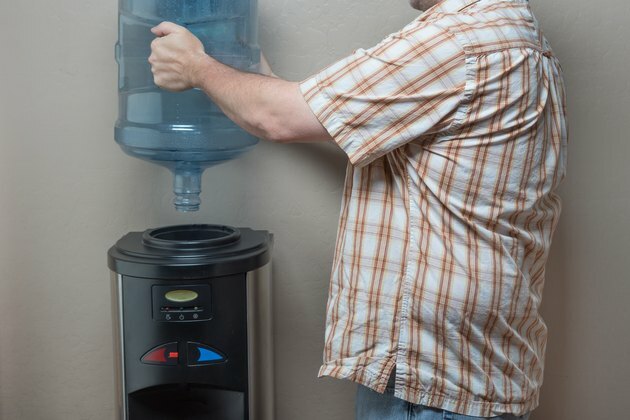 With an in-home water cooler, you'll always have fresh, cold water on hand. You can sign up with a bottled water delivery service that will bring the 5-gallon water bottles directly to your door as you need them. 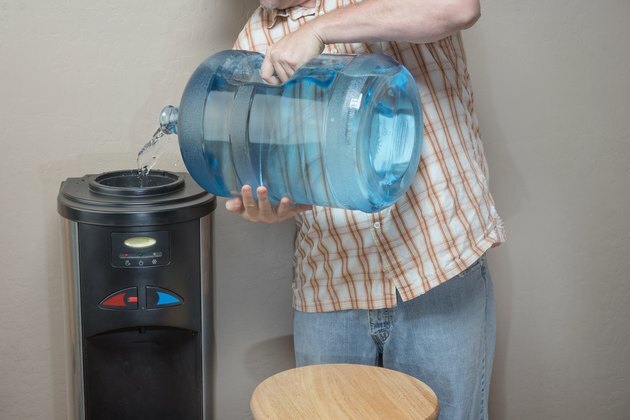 You will have to replace the bottles yourself, however, but the process should only take a few minutes and will work for most of the major water delivery service brands. 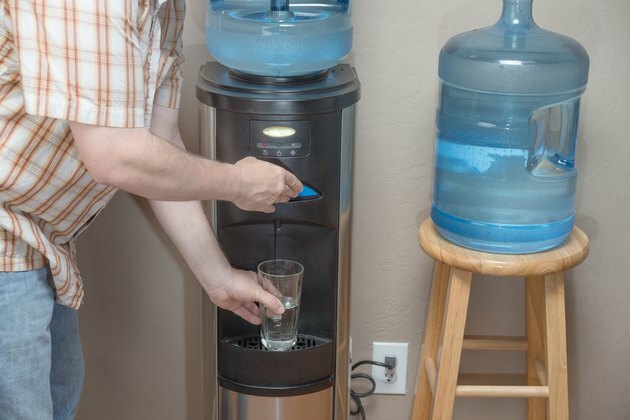 Before removing the empty water bottle from the cooler, wipe the replacement bottle down with warm, soapy water to remove any dust and debris that is on the surface. Wash your hands so that they are sanitary when handling the new water bottle. Place a clean, absorbent cloth within easy reach. 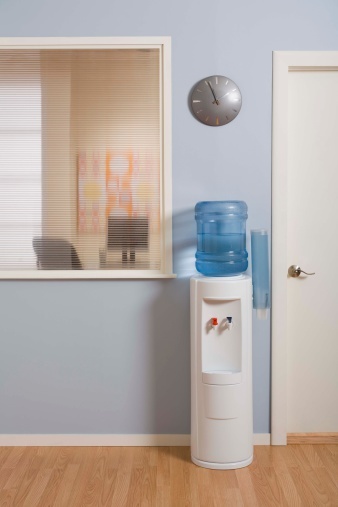 Position a sturdy chair or table near the water cooler to provide a place to quickly set the heavy replacement bottle. It's best to wait until the old bottle is empty or just about empty before removing it to avoid splashing water. Lift the bottle straight up from the cooler to remove it, and use the cloth to wipe around the rim of the cooler, where the neck of the bottle rests. Set the old bottle aside to be returned to your water supplier. Standing with your feet shoulder-width apart, bend down in front of the replacement water bottle. Get into a comfortable position and place one foot slightly in front of the other for leverage. Use your dominant hand to securely grasp the bottle's neck, and place your opposite hand under the bottle. Slowly stand up, keeping your back straight and lifting from your knees. Set the bottle down on the chair next to the cooler and remove either the cap or the tab from around the neck, depending on the type of bottle you have. Lift the bottle up and slowly tip it to a 45-degree angle to allow water to begin dripping into the cooler. Place the bottle into an upright position as the flow of water into the cooler begins to increase, and then secure it onto the base. 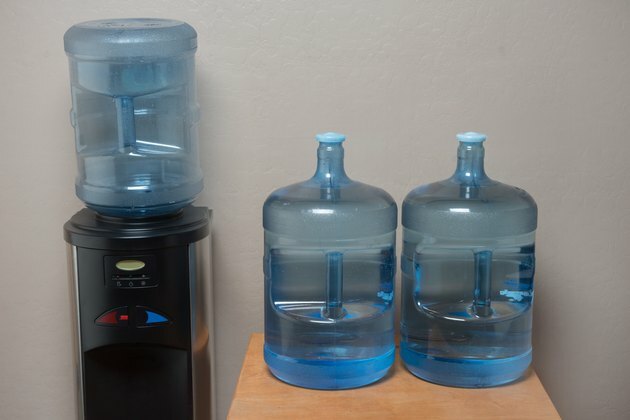 Avoid storing your replacement water bottles in the sunlight to prevent algae growth -- place them in a cool, dry location, such as a kitchen pantry, instead. To avoid injuring your back, hold the bottle close to your body as you lift it, and turn with your feet, not your torso, if you need to change direction. Because a 5-gallon water bottle weighs 40 pounds, make sure you can safely lift that weight by yourself before replacing it. Ask for help from a family member if need be. If your water comes in glass bottles, inspect the new bottle carefully for any chips or hairline cracks. Cracked bottles can break while being moved or lifted, creating a serious hazard.